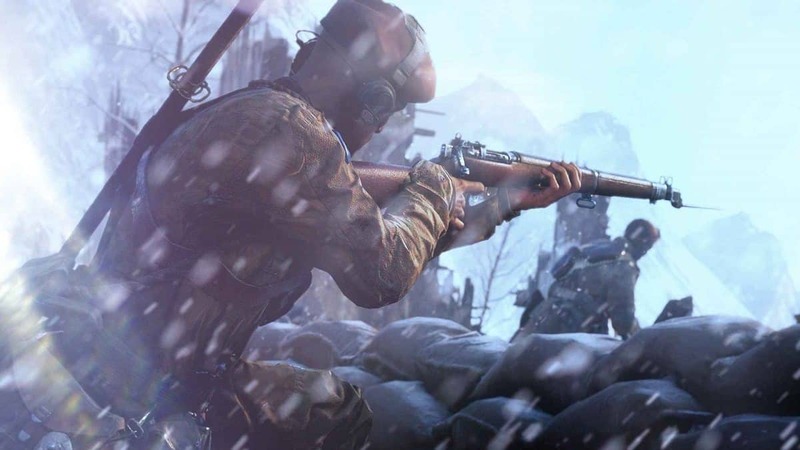 Once you’re dropped on the map in Battlefield 5 Firestorm, there will be an excess amount of weapons for you to choose from. 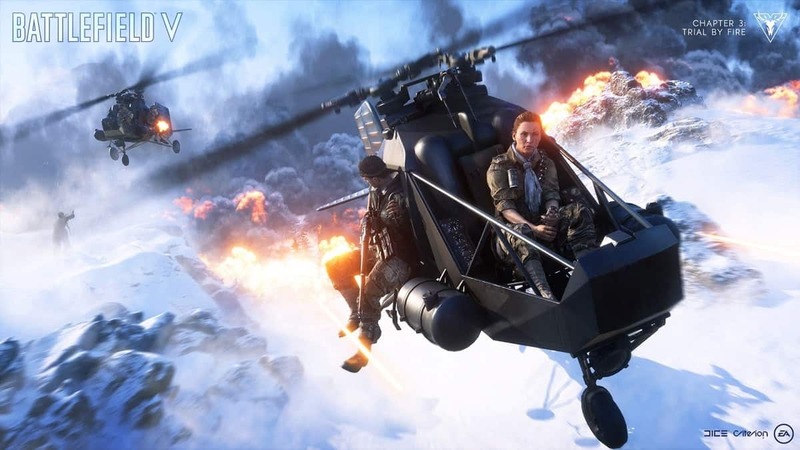 Battlefield 5 Firestorm features a wide variety of weapons with different rarity levels. In Firestorm, you have three slots i.e. two for Primary Weapons and one for Sidearm. Apart from that, there are slots for your Grenade, Healing Items, and for your loot. You can also pick up your Backups. 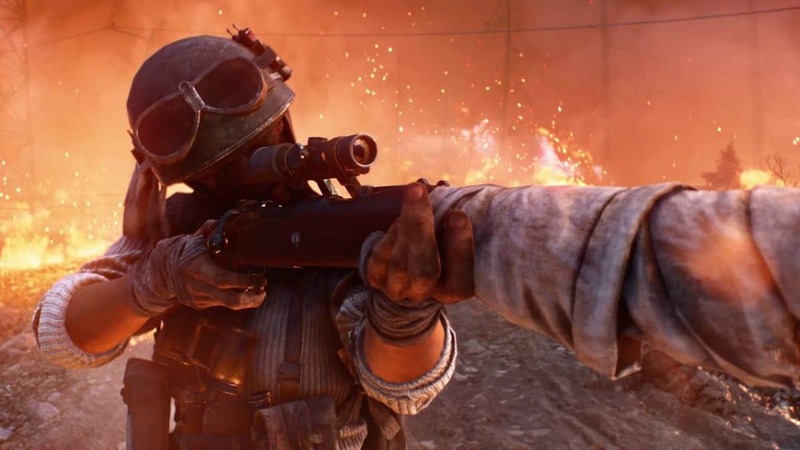 In our Battlefield 5 Firestorm Guns Guide, we’ve detailed everything you need to know about different types of weapons, compatible weapon attachments, guns tier list, and which weapons you should use in Battlefield 5 Firestorm BR. SMGs don’t boast a very long range but compensate it with an increased rate of fire, faster reload speed, and reduced recoil. Rare Improved Hipfire. Quick deploy. Reflex Sight. Epic Rate of Fire boost. Reduced Recoil. Reflex Sight. Rare Reduced Recoil. Faster Reload. Quick ADS. Reflex Sight. Epic Extended Magazine. Reduced Recoil. Lens Sight. Rare Reduced Recoil. Quick ADS. Reflex Sight. Epic Improved ADS. Close-Range Lens Sight. Rare Improved Hipfire Quicker Reload. Reflex Sight. Epic Improved Hipfire. Reduced Recoil. Reflex Sight. LMGs boast high damage and are optimal for almost all ranges. These weapons are fairly good for taking down a larger group of enemies at the same time. Rare Reduced Recoil. Quick Reload. 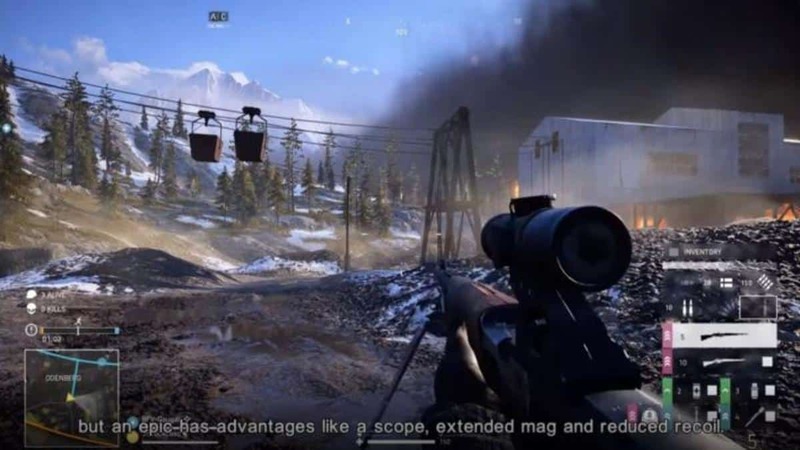 AA close-range Sight. Epic Faster bullets. Improved Bipod. M84 Mid-Range Scope. Reduced Recoil. Quick Reload. Rare Quick ADS. Improved ADS. AA Close-Range Sight. Epic Reduced Recoil. Faster ADS. ZFG42 Mid-Range Scope. Rare Improved Flash Hider. Faster Bullets. AA Close-Range Sight. Epic Improved Cooling. Improved Flash Hider. Faster Bullets. AA Close-Range Sight. Even though the damage of Semi-Auto Rifles is pretty low, it has high speed, making it a more useful weapon than the others. Rare Quick ADS. Deploy Speed. Reflex Sight. Epic Extended Magazine. Improved Hipfire. Reflex Sight. Rare Improved ADS. Aperture Sight. Epic Faster bullets. Reduced Recoil. ZF4 Mid-Range Scope. Bolt Action Rifles provide long-distance shots and deal with a high single-target damage. Rare Quicker Deploy Speed. Improved ADS. Close-Range Sight. Epic Bipod. Quick Cycle. Mid-Range Scope. Improved ADS. Quicker Deploy Speed. Rare Quick Reload. Quick Deploy. Epic Bayonet. Quick cycle. Quick Reload. For players with a more freestyle playstyle with the gun provide high damage and low reload time makes them more worth it. Epic Reduced Recoil. Quick ADS. Mid-Range Sight. Rare Bipod. Quick ADS. Close-Range Sight. Epic Bipod. Quick ADS. Faster Bullets. Improved ADS. Mid-Range Sight. Rare Reduced Recoil. Fast Reload. Reflex Sight. Epic Reduced Recoil. Reflex Sight. The shotguns provide you support in the close-range fights but obviously fall short when it comes to long-range engagements. Rare Extended Mag. Quick Reload. Epic Extended Mag. Quick Reload. Increased Bullet Penetration. Rare Rare: Slug Rounds. Quick ADS. Epic Epic: Headshot Damage increased. Quick ADS. Close-Range Sight. Faster Trigger. You can exchange the pistols in order to get another weapon later in the game. In the initial starting of the game, you would want to use these.